Read a fabulous tale about the rainbow dragons and painting the sky with rainbows. 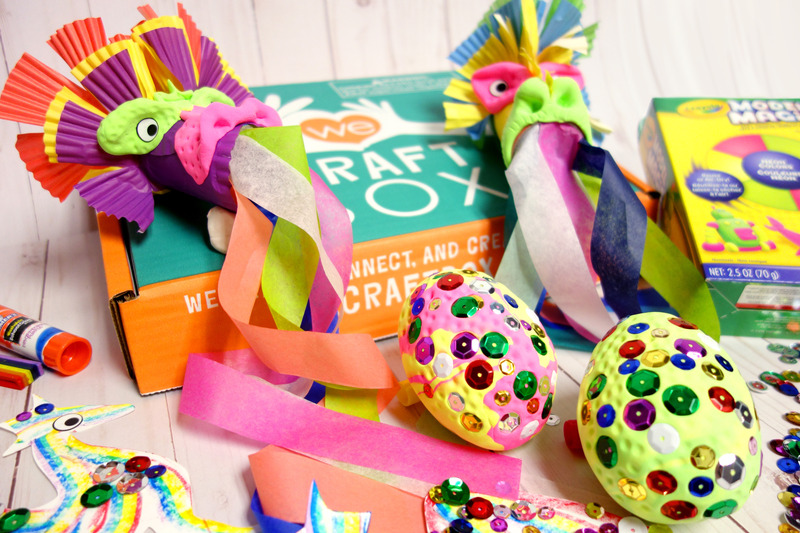 Then create your own sparkling rainbow dragon eggs, construct your rainbow dragon heads, and decorate a few rainbow dragons with a rainbow crayon... out it all together by setting the scene with all your dragon friends to display all your beautiful creations! 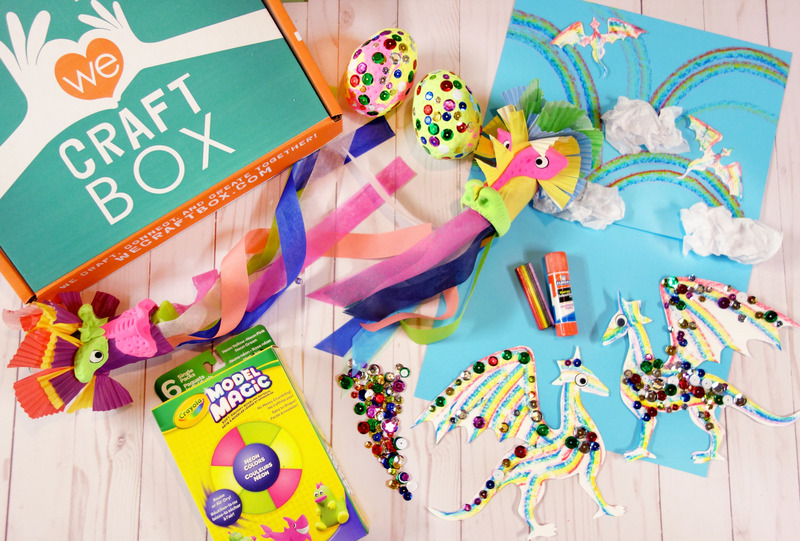 All materials are included in the box (with the exception of scissors) with multiple blanks so one box can be shared between two children! Enjoy your time being creative together!